The beginning of Tesla Model 3 was turbulent. Last year in July, when the CEO Elon Musk announced the start of the Model 3's production, he talked about a timeline, according to which the Model 3's production would increase exponentially month by month and reach 20,000 units by December of 2017. That did not happen. While Tesla Model 3 production edged up in January 2018, things were still slow because more than 400,000 people have made reservations and will still wait a year until their Model 3 is delivered. In fact, some are tired of waiting and selling their place in the Tesla queue. I don't even know if this is legal and fair to newer reservation holders. Now, speaking of the newer Model 3 Reservation holders. According to WSJ Tesla for the first time is notifying some reservation holders new to the electric-car brand that they can begin configuring and ordering their Model 3 sedan. "The milestone suggests production of the vehicle at Tesla’s assembly plant is picking up steam after a turbulent beginning in July. Previously, the Silicon Valley auto maker had limited opening orders to reservation holders who were employees or had been previous Tesla customers," writes Tim Higgins in that article. Tesla has to succeed in this, if it wants to remake the luxury-vehicle brand into a mainstream affordable car company, that sells affordable electric cars, such as Model 3 and other green consumer products such as solar panels and storage batteries. 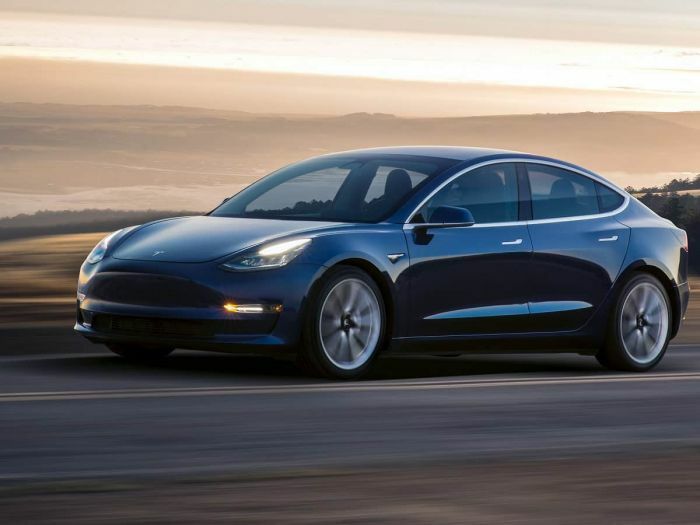 If Tesla wants to succeed in these things, here are the 2018 milestones Tesla Model 3 deliveries must hit to become mass market. See in that story how Tesla should compete in 2018 in order to succeed making the Model 3 a mass market car. It even has to compete with the numbers that are posted by truck makers. Now, according to Tesla, a small group of Model 3 customers are receiving notification based on when they placed their reservations. I have to laugh out loud at this one - another article mentioned the lack of employees, current Tesla owners to pawn off their beta cars to. That means the reason they are hitting those newbies is because there aren't any more non-newbies on the list, not because they have ramped up production. There are several sites that estimate the current production of Model 3 cars - they look to vinnumbers, etc. This method used here is totally pointless. The conclusion is quoted from the The Wall Street Journal. However, the production of Model 3 has indeed picked up. I wouldn't characterize non-owners getting invites to configure 'little noticed'. Not for those who follow Tesla at all.